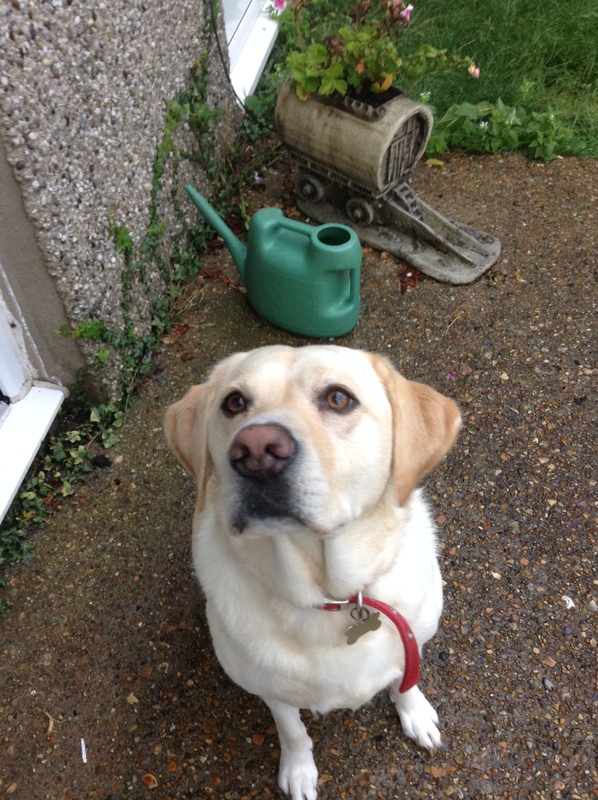 Jessie The Blog Dog- So Have Your Character’s Ever Prompted You To Try Something That Your Character’s Have Done? Woof (hello again) all kind humans, and all other fur friends. Jessie’s here, back on the blogging page, filling in for my favourite human today. Hope you’re all tail waggling good. This week’s been good for me. I have got to know baby Roseanna a little. I can tell she’s going to be my friend in the future. I Also found one of my favourite toys, so I put on a hyper run about for the humans and got lots of praise, like ‘Good dog, and how funny’ I do try to keep them entertained. I also helped my human by listening to her read aloud from the start of her third novel. Of course I get to hear it before anyone else and have perfected the odd bark of approval at the interesting parts. After my listening hour or so (that girl never stops reading, I think I should invest in a timer) We went for a little wander about and I saw another dog on a walk with a toy in his mouth. I thought ‘oh woof I want one,’ after a lot of staring sweetly into my humans eyes and leaving hints about the house. One magically turned up on my doggie bed, as I tried it out, it got me thinking that seeing the dog with the toy made me want to give it a go. Then I asked my human if it was the same for her with the character’s she knows in her stories? luckily I’m good at demonstration, so she finely understood me and she said ‘Oh Jessie you’re funny, but thinking on it I did try Whisky once while writing book two’ I think she’s funny too, but left it at that and thought I would put my question to my blog friends. So have your character’s ever prompted you to try something that your character’s have done? I better go play with that toy now and then a doggie snooze for me, before breakfast. ← My Interview With Author Patricia Asedegbega. I don’t think they have. Certainly not for TSF and if I did any what I have planned for book two I would be in a lot of trouble! I think the only thing TSF and Rachel’s journey have done is to remind me how lonely it can be to have a serious disability so I hope in some small way I can address that by helping others inn a similar position. Congratulations on all the baby news😀you must all be very proud! I hope you’re well. I think mostly my characters have the life they are meant to for them. But now and again taking a leaf out of their book can’t hurt. Ha! At least I’m not the only one that tried whisky 😉 I tried it once hated it, unlike my character in book two. Hi Katie (and Jessie), As a crime writer I like having characters that go to places I might be wary of. It’s that ‘mean streets’ thing. I send my characters down them and I get the thrill from a safe distance! I hope you’re well. I bet it’s fun to send your characters to places you’re wary of and get the thrill from a safe distance. Thanks for a very interesting blog post. And I’m glad you were able to sample that other dog’s toy. That must have been a very satisfying experience for you 😉 .As to your question, I have been motivated by my characters to try new things. When I was writing my first novel I did a lot of research into Swedish cooking and baking, which prompted me to try new recipes and ways of cooking. Also I sometimes think about different things my characters might do, and try to do these things so that I get a better understanding of who my characters are and how they experience things, so as to better portray them. I hope you’re having a fantastic week.